Paleo, Keto, Gluten-Free Cooking at Your Service! I love being able to share what I hope is useful information with you, and information you chose to follow up on. 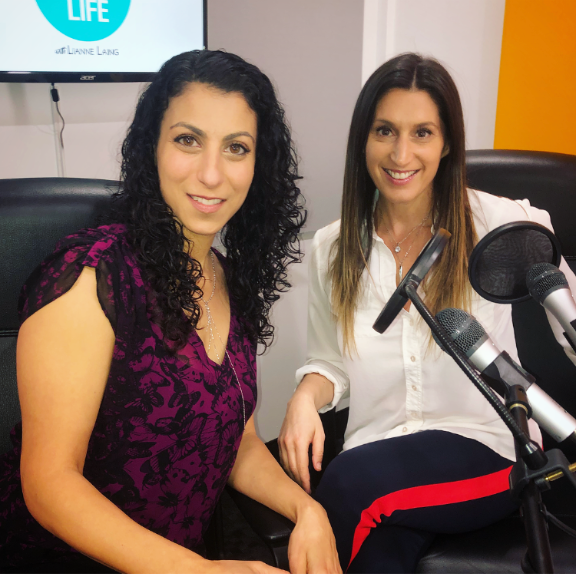 Over the last few months, many of my podcast guests have talked about food combinations, food intolerance, sugar addiction, IBS, allergies, eating raw, avoiding gluten and the list goes on. For many people it can be a bit overwhelming and daunting. I get it! While I tried doing the Ketogenic diet for a while, it didn’t take. I typically don’t follow any dieting guidelines, other than eating plenty of fruits and vegetables, limiting processed foods and adding protein with every meal. I could be doing better but I’ll take it for now. There are, however, some amazing chefs looking to help ease the pain of certain diets and the cafe at Natural Food Pantry is doing just that at their Barrhaven location. The story behind the cafe, chef Bruce Enloe and the products is quite endearing and hits a nerve with a lot of people. Learn more about the cafe here! Here’s some more information for those looking to try out their ‘Love My Buns” Mixes! I had interviewed Sarah plenty of times on CTV Morning Live and had sought out her expertise when doing videos for pregnancy related workouts. She is the creator of the Prenatal and Postnatal Strength Workout DVD, available online at Amazon. For anyone looking to understand what the body is capable of while pregnant and what should be avoided – you need to tune in for this one. Sarah is also a former World Fitness Competitor and a current race walker. We hit on a number of topics and for anyone who has undergone a surgery or an injury, Sarah offers up some information that is important for proper recovery and function. Keep in mind – the current podcast release is with mountaineer, entrepreneur and philanthropist Shawn Dawson. Shawn became just the 8th person in history to summit all seven summits of the world in under two years. His story takes some incredible twists and turns and jaw-dropping moments. If you haven’t had a chance to listen – here are the links. I’m heading to Orlando this week with Andie for the Disney Showcase Soccer Tournament with her OSU team. I’m excited for her to compete and play with girls from all over North America. I have fond memories of traveling to compete, wearing my team uniform, feeling out of my comfort zone and pushing myself to be better. I hope this tournament is able to do that for the girls. Plus, a little sunshine in November never hurts. Have a great week everyone! I’ll send some updates from sunny Florida next Monday!